Antispasmodic, calmative, carminative, diaphoretic, emmenagogue, stomachic, febrifuge, sedative, antidepressant, nervine. A shrubby hairless, branched herbaceous perennial plant with a woody branched root produces many round stems which put out runners from the base. 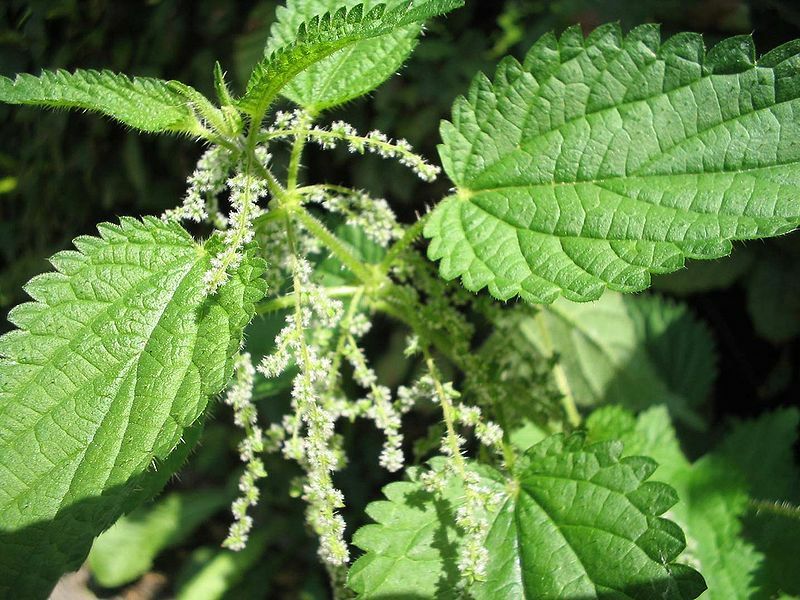 The Plant has a pale brown stem, top branches and oblong stalkless leaves that grow in pairs. On the perforated leaves are transparent spots (oil glands), that look like holes, but on the unperforated varieties are rust-colored spots and were believed by pious country folk to be the mark of the blood of St. John the Baptist. Also, the sap of the plant is reddish colored and represents the blood of St. John the Baptist. Flat topped cymes of yellow flowers, whose petals are dotted with black along the margins, appear from June to September. 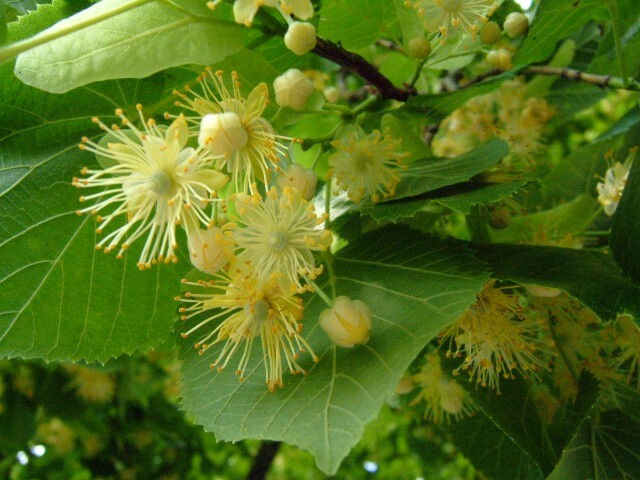 Each flower has five yellow petals with black dots on the margins and many yellow stamens. The fruit is a three celled capsule containing small, dark brown seeds. 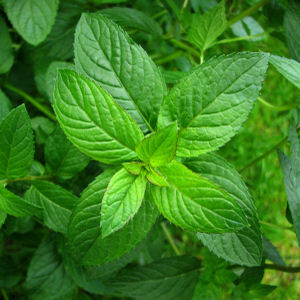 The whole plant has a turpentine-like odor. The flowers appear in late summer and are bright yellow. 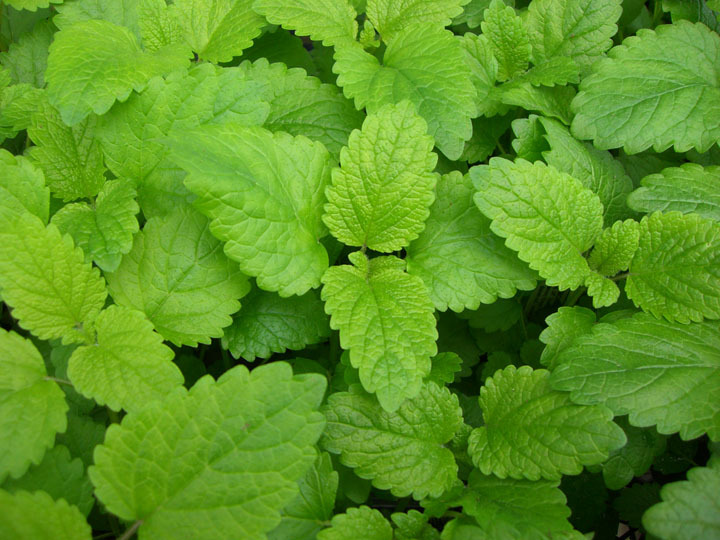 Plant grows 1-3 feet tall with delicate 0.6 to 1.2 inch bluish-green elliptical leaves. 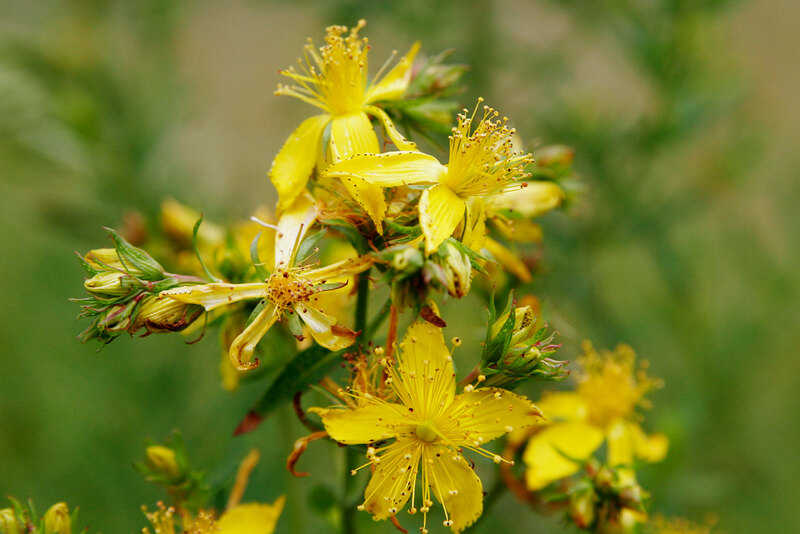 True St. John's Wort has three extraordinary features that help identify it and virtually rule out any possibility of mistaken identity: the stalk is two-edged, (extremely rare in the plant kingdom). Hold the leaves up to light and you can see the oil glands or transparent dots. The golden-yellow flowers turn dark red if rubbed between your fingers. There is no objection to collecting the seeds of plants growing in the wild.